Internal feud leads to what Marketing Department calls the most boring name ever for a software feature. Marketing weeping tears of bitterness. 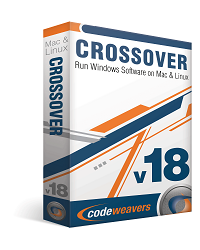 SAINT PAUL, Minn (December 12, 2012) — CodeWeavers, Inc., developer of CrossOver software which enables Mac and Linux users to run Windows software on their computers without the need of a Microsoft license, announced today the release of its new software, CrossOver 12. CodeWeavers, ever aggressive on the software development front, has also included an experimental Mac graphics driver in CrossOver 12. Prosaically named The Mac Driver by the product’s development team after triumphing over Marketing in closely-watched contest of wills, the new driver will lead to smoother, faster, more native Mac performance as it’s perfected. The Mac Driver supplants CrossOver’s current X11 windows driver technology. This new driver format will be an optional feature in CrossOver 12, allowing users to enable/disable it at need for specific applications. It will also allow CodeWeavers to gather useful feedback from its distributed cadre of testers in order to hone its features for future releases. 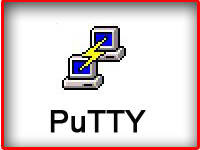 Wondering if your favorite Windows software title will run under CrossOver? CrossOver now incorporates our experimental Mac Driver. With the Mac Driver, Windows programs running under CrossOver no longer have to use the X Window System to interact with the screen and keyboard. This feature is currently experimental but will become the way all CrossOver applications work on OS X in the future. CrossOver has improved font handling for fonts used by certain applications, such as National Mah Jongg League Online. CrossOver Linux now installs a single desktop menu item rather than a multitude of desktop menus. This approach works better with desktop systems such as GNOME 3 and Unity, which usually don't have a hierarchical desktop menu structure. CrossOver now has much better support for window transparency (layered windows) when a compositing window manager is available. (When the Mac Driver is complete, this feature will be available on OS X as well). Many transparent windows will now work that did not before. We have resolved some issues which caused printers not to appear. CrossOver now supports World of Tanks. CrossOver now supports Quicken 2013. CrossOver now supports installation of .Net 4.0. CrossOver Linux now supports Guild Wars 2. Guild Wars 2 will run for many people on CrossOver Mac, but many users will encounter persistent graphics problems. Previously, CodeWeavers had released a specially-built version of CrossOver dedicated to running Guild Wars 2. That is no longer necessary. Fixed a crash displaying certain email messages in Outlook 2010. Outlook 2010 will now save passwords. Improved Gmail and other IMAP connections with Outlook 2007. Fixed auto-discovery during account configuration for Outlook 2007. PowerPoint 2010 now displays equations in slide shows. PowerPoint 2010 no longer displays blank slides. Fixed bugs in Word 2010 which caused the equation editor to be missing structures and formulas. Fixed a bug in Word 2010 related to footnote style choices. 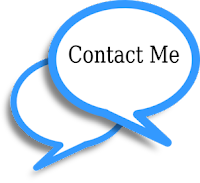 Project 2007 and 2010 can now edit dates for recurring tasks. Fixed a crash in Project 2010 when filtering by resource name. Visio 2002 can now search for new shapes. Visio 2010 now displays properly when multiple shapes are open. Star Trek Online is now faster during game updates. Quicken 2009 no longer has garbled text on its buttons. An issue with installation of .Net 3.5 SP1 was resolved. World of Warcraft has had fixes related to patching and installation. CrossOver is now based on Wine 1.5.15. CrossOver's built-in web-browser will offer to download and install ActiveX controls. CrossOver now comes bundled with the Wine-Mono package, an alternative implementation of the .Net API. CrossOver now implements Raw Input, the set of APIs used for mouse input by games like Guild Wars 2, World of Tanks, and others. Support for printing on a variety of paper sizes has been improved. DirectSound has a new resampler, for higher quality audio. CrossOver now has sub-pixel font anti-aliasing.